One of the leading technology brands, Apple has unveiled an extraordinary device: iPad Air 2 Wi-Fi Cellular, which is slimmer and sexier than its previous versions. It is one of the coolest devices from Apple factory, which has created history by launching smart gadgets for customers. Packed with an A8 chip, this iPad air 2 Wi-Fi Cellular has advanced remote development and applications that will give you more power and creativity. Do more than what you expected from this cool device. 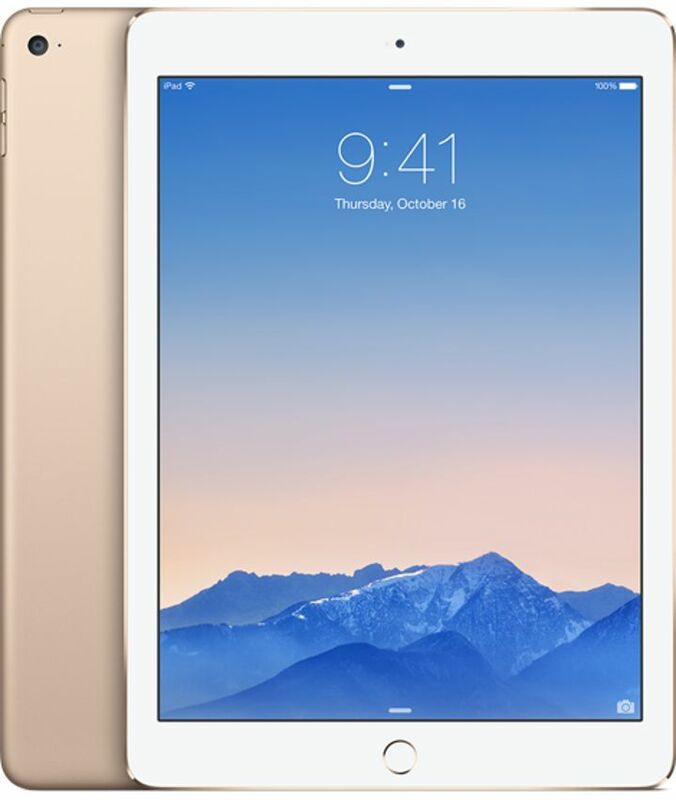 This new iPad Air 2 Wi-Fi Cellular is sleek and elegant in design, which has aluminium body. The new design has reduced practically one-fourth of the volume that was there in the past iPads. This new iPad weighs only only 444 grams. 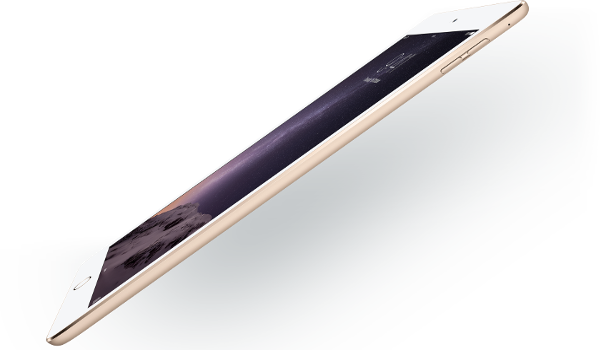 Thinner is now better; iPad Air 2 Wi-Fi Cellular has amazingly thin outline. Its Retina display is redesigned by Apple by mixing three different layers into one. This has created a thinner design with a better looks with more vibrant colours and better contrast. iPad Air 2 Wi-Fi Cellular boasts minimum reflective display among any tablet in the world and reason for this is that it is coated with anti-reflective cover. iPad Air 2 Wi-Fi Cellular has resolution of 2048x1536 pixels with 264 pixels per inch. iOS 8 and iPad Air 2 are made for each other; it is a powerful combination that allows you to explore the world with a gentle touch. iOS is the most powerful and advanced mobile operating system ever; this includes features that make iPad Air 2 more user-friendly. The device is also powered with features like Continuity, Family Sharing, iCloud Drive and more. iCloud Drive allows you to store any document and access it from any device. The iPad Air 2 is designed to give you full advantages of its powerful A8X chip, super fast wireless and brilliant Retina display. iPad Air 2 has two amazing cameras; the new iSight camera is the best iPad camera ever, which is equipped with advanced optics, an improved sensor and a powerful Apple-designed image signal processor. It has stunning new features like panorama, time-lapse videos, slo-mo, and burst and timer modes. Apple has redesigned its Front-facing FaceTime HD camera, which now has better sensor and larger pixels for better low-light performance. Now all your photos and videos look incredible. 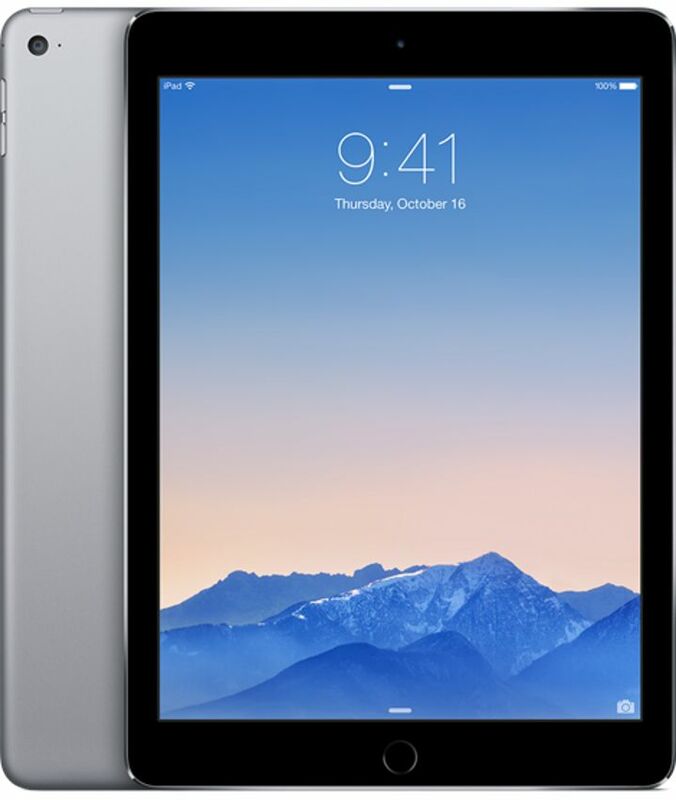 This version of the iPad Air is built with an advanced Wi-Fi model that gives you a dual channel at 2.4Ghz and 5Ghz. It consists of a 4.0 Bluetooth technology. It also consists CDMA EV-Do Rev A and Rev B(800, 1900 Mhz) and includes a SIM option. Not just easy, online shopping with Infibeam is shaped to give you extraordinary experience! Happy with excellent service. Will use this portal in future also. Item delivered on promised day. Good tracking info provided. Great buying experience. Good condition, well packed, regular tracking updates and on time delivery.